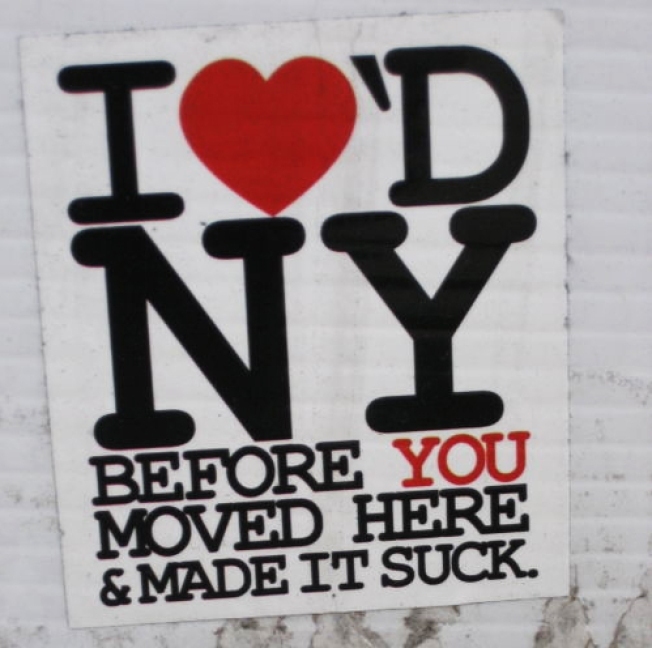 It's here: The inevitable New York City backlash. What do Tina Fey, Joe the Plumber, Michael Phelps, and New York City have in common? They all know what it's like to feel the backlash. In Brooklyn, you can get arrested by Santa Claus. Nothing surprises us anymore. The Tribune company is bankrupt! The Times is fixing up the apartment over the garage to rent it out for some extra cash! The news of everything everywhere swirling down the toilet prompted Curbed to put together a collage of adorable bunnies, kittens, and even a polar cub, so we can all calm the eff down. Da babies. It's official: Inexplicable cult favorite Veselka will soon be serving its so-so hangover brunches on the Bowery. Hipster curio purveyor Brooklyn Flea isn't taking winter off -- they're moving indoors to a space on Front Street in DUMBO. They'll be back at their Fort Greene HQ in April. If you think the total overhaul of once-charming Washington Square Park is silly, tasteless, and a total waste of your tax dollars now, just wait 'til you hear what the PTB have planned for Phase 2. In other news: There's a Phase 2. End-of-days watch: The Pulitzer People will now consider items appearing in online publications for their much-coveted prize. This wouldn't have anything to do with the death of newspapers, would it? …& ICYMI: Hey, new Brooklyn mommy, are you confused by how this whole breastfeeding process is supposed to work? Deep breath: In Greenpoint, they have a certified lactation consultant on hand to answer all your burning questions. And to think mammals have been feeding their infants for millions of years without proper tutelage!